Mangaluru, Dec 05, 2017: Mangaluru, Kavita Trust which works for the promotion of Konkani poetry has announced the results of its Charles and Theresa Rodrigues memorial 11th All India Konkani poetry writing competition. Sanika R Pawar, an 8th standard student of Sarvodaya Educational Society High School, Curchorem, Goa has won the first prize for her poem ‘Panzryantlem Shevnnem’ (Caged Bird). The second prize is won by Devita Ishwar Khule, a 10th standard student of Shree Mallikarjun Vidyalaya High School, Kankon for her poem ‘Bharatiya Sainik’ (Indian Soldier). 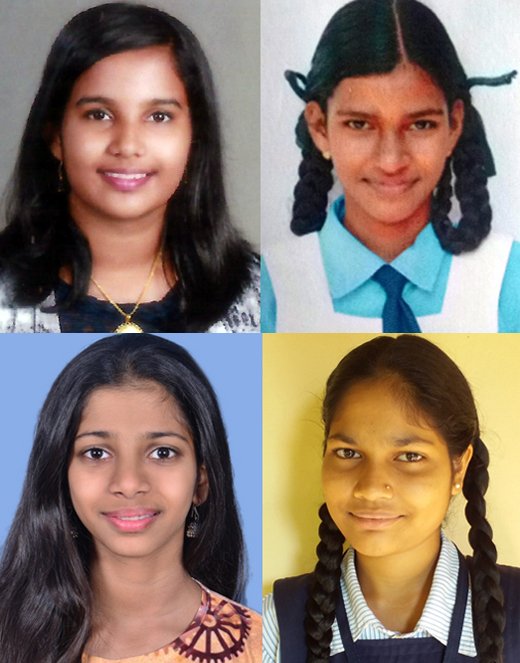 The third prize is shared by Palia Agni, a 6th class student of Ravindra Kelekar Dhyanmandir, Margao for her poem ‘Pavs’ (The Rain) and Anisha Arun Naik, a 10th class student of Mai De Deus high school, Aldona for her poem ‘Hanv Zadd - Mhaka Samzat’. (I am the Plant - Understand Me). Altogether, 174 students participated in the competition. Melvyn Rodrigues who judged the poems said the age of the children, their use of language according to their age, their innocence, the themes used and the way they narrated these themes in poetic form were considered while selecting the prize winners. The poems : Sanika’s poem speaks about children playing in the courtyard without wings and the bird who could not fly although it has wings. Devita’s poem on Indian soliders narrates the sacrifices soldiers have to make to protect the country. Palia’s poem questions the rain which falls when it’s time to go to school while in Anisha’s poem, a plant in its personified form requests the humans to save it from being chopped. The winners will get cash prizes, mementos, certificates and get a chance to attend Kavita Fest in Mangaluru with their parents. The participants will get certificates. Renowned Kannada novelist and writer K T Gatti will distribute the prizes on the occasion of the 12th edition of Kavita Fest which will be held on January 14, at Bodhi Tree - the Farm House, near Jeppu, Mangaluru.